Brian was recommended to me from a friend and I am super happy that I had the chance to talk to him. He's written for the Alien franchise, his novel Last Days won the award for best horror novel of 2009 from the American Library Association, and his girlfriend works at Alatraz! He's an amazing guy and gave us a great interview. Go read the interview and then pick up his new book, Immobility, which came out a few days ago (4/10/12)! I'm walking down a dirt road and passing a fenced sward in which three goats are gnawing the bark off the fence posts. When they notice me, they straighten up. "Good morning, Brian," the goats say to me. I tip my hat and return the greeting: "Morning, goats." 2. Your work is pretty dark, does that kind of material come easy for you, or is it just as hard to write as it is to read? It can be tough to write, but I think that dark, difficult situations often reveal things both about language and about human nature that are harder to see in less troubling settings. When writing something I do sometimes get caught up enough in the language that I eventually forget how dark the content is, until I'm reminded by reading it aloud or because someone points it out to me (by asking me, for instance, "What the hell's wrong with you?"). But I do think that part of that forgetting is due to the way we use language to sort through and surmount difficulty, that language is a key tool for trying to navigate, survive, and shape the world. 3. On your Facebook page the first two things that intrigued me were "Ex-Mormon" and "Anarcho-nihilist, what do those two words mean for you? Ex-Mormon means I'm an excommunicated Mormon, with my name stricken from the records of the Mormon Church. "Anarcho-nihilist" means I was probably tired and a little bit grumpy the day I filled out my Facebook profile. 4. You spoke in one interview that you can speak French, Spanish, and English. Do you think that knowing more languages helps your understanding and use of the language you write in? I used to be good enough with Spanish that I reviewed a few books and did some translating, but I've let it slide over the last few years. My French I've kept up, and I read and translate it pretty regularly. Yes, I think it's been incredibly useful in terms of how I think about English, but also how I think about writing. French allows me a range of possibilities that might not come readily in English, and it also gives me a place I can stand so as to look at English differently, as if it were a foreign language. My knowledge of French defamiliarizes English for me and makes it seem fresh. 5. Most of your books are on Kindle, what do you think about literature going electronic? I'm not opposed. I don't think I'm likely ever to switch over completely since I do like the smell and feel of books, but I do have an iPad. I find I read books on it a lot when I travel but not that often at other times (unless I find something that I want to read in that format for a fraction of the price of a print book). 6. What do you think the biggest difference is when you publish hardcover, paperback, and mass market paperback, since you've done them all? I think there's probably a different audience that gravitates toward different formats. The nice thing about hardcover is that a paperback can follow, so often there's a built-in second life. But also hardbacks look nice, have a sense of heft and solidity to them, and often garner reviews in venues that ignore paperbacks. Trade paperbacks have a nice feel to them: I think I prefer to reading them to heavier hardbacks, particularly if a book is large. And often, at least for some kinds of books, the trade paperback is followed later by a mass market paperback. Mass market paperbacks are great for disposable reads--you can take them to the beach and get sand in them without worrying about them. Ideally, it'd be nice for a book to appear in all three. 7. Your book, Baby Leg, appeared at the beginning of Mourir Aupres de Toi, a Spike Jonze film, how does something like that happen? I haven't the faintest idea. Giancarlo DiTrapano, the mind behind New York Tyrant and the publisher of Baby Leg, noticed that moment early in the Spike Jonze film, but I really don't know how it happened. Either it was just blind luck or Jonze or one of his crew moved the book into the shot. If I knew how it happened, I'd try to make it happen again. 8. On multiple sites people refer to you as a prolific writer, what drives you to always be writing? What pushes you? I think someone started saying that and then all sorts of people picked it up. I do write a lot but I'm not absurdly prolific, I don't think. Lots of people publish more books, and much longer books, than I do. But I do like to write and I find a real satisfaction in constructing realities with language--there's nothing quite like it. 9. What was it like getting the fellowship from the National Endowment for the Arts so early in your career? Did it change everything? It came at a very important time for me, just after I'd run into all sorts of problems at Brigham Young University over my first book, Altmann's Tongue, and after they'd told me that I could stay at BYU only if I promised never to write another book like it. I was raising a young family. I was dirt poor, trying to support four on a salary of $28,000 a year and was driving a car with the floor rusted out and 300,000 miles on it. I used the money to buy a new (well, only slightly used) car and pay some bills. But it was more than just the money. I needed the encouragement that the NEA offered to be able to take the risk of giving up my job and moving elsewhere, starting fresh and continuing to explore my writing. I don't think that I'd have ended up where I am now if I hadn't gotten the NEA. I've always been extremely grateful for it. 10. Your new book, Immobility, came out a few days ago, what was your favorite part about writing this one? The book is set in a devastated version of Utah, sometime in the future, along the path from Provo to the Salt Lake Valley. The funnest part of it was looking at the route on Google maps and basically destroying things along the way, spending time thinking about what they might look like after having been through some sort of apocalyptic event and being left to sit for years. There were also two characters, named Qatik and Qanik, who are versions of one another and who I loved writing. 11. Did I read that your girlfriend is a volunteer at Alcatraz? How awesome is that? Does she have any stories? Any of your own? Yes, my girlfriend Kristen Tracy is a volunteer gardener on Alcatraz and is helping to restore the gardens there. She's fabulous. She's got lots of terrific Alcatraz stories, but since she's a writer herself (both a poet and a teen novelist) I'll let her tell them herself. Where I've benefitted is that she has access to places that normally you can't go on Alcatraz, so I've been able to do things like explore the basement and former moat, see the laundry and the prison hospital, go down the tunnel, etc. (there are a couple of pictures of those spaces on my Facebook page). 12. You won the O. Henry Award for "Two Brothers," what was that like? How did it happen? Ben Marcus very kindly accepted that story for a little magazine called The Dominion Review and I think we were both a little surprised that it was something the O. Henry people found and liked. I think I ended up getting a call from Larry Dark saying that they wanted to published it for the O. Henry anthology and that was how I found out I'd won. That's probably my best known story since it was reprinted in the Anchor Book of New American Short Stories, something I'm also very grateful to Ben for, and it remains a favorite story of mine. That was the first of three O. Henry Awards I've had, the other two for "Mudder Tongue" and "Windeye." 13. Do you think you would have eventually turned to writing if your mother never had any short stories published? I think probably I would have. It just would have taken much longer. But maybe I'd have become a paleontologist, which is what I wanted to be when I was six. 14. You were in the Velvet Anthology, Warmed and Bound, with a lot of Mourning Goat interviewee's, how did you get involved? Caleb Ross solicited me and kept at me until he got something. He was very encouraging, very helpful, and very persistent. I knew the work of a lot of the writers involved and felt like it was good company, and was very glad to see the anthology introduced by Steve Erickson, a writer I greatly admire. It was a fun, worthwhile project. 15. The Last Days, limited editions are gorgeous, how did this come about? It was something that Victoria Blake, the publisher at Underland, wanted to do and that I was very happy she did. Yes, I think it came out really well. She's got a good eye and a good attention for detail. 16. You've said that you have a different view on your own work published under different names (B.K.Evenson, Bjorn Verenson, etc. ), what did you mean by that? I think a kind of personality goes with each of those names, and with the name Brian Evenson as well. They're all related, of course--B. K. Evenson and Brian Evenson more closely to one another than to Bjorn Verenson--but for me there's a little bit different feel to each name. B. K. Evenson is more deeply and unrepentantly invested in video games than Brian Evenson, though they both learn from one another and Brian Evenson is coming around. B. K. Evenson can co-write a novel with Rob Zombie; Brian Evenson can only dream of doing that. Bjorn Verenson, on the other hand, is a little bit more obviously nuts and that can show sometimes (for instance his letter in Birkensnake #1). 17. You teach at Brown University, what are your favorite things to discuss in your classes? Do you have a favorite story or author that you really enjoy focusing on? I often like to read books that I haven't read before in my classes, but there are a few people that I constantly return to. One is Muriel Spark. I think she's a terrific writer, and not nearly as well known in this country as she should be. I'm teaching The Driver's Seat this semester. Samuel Beckett is another person I return to, particularly Molloy, and Thomas Bernhard. Peter Straub's "Bunny is Good Bread" I love to teach because I think it turns what people think they know about genre on its head--his recent "The Ballad of Ballard and Sondrine" does great things with reality and perception as well. Kafka I teach often too, especially "A Country Doctor", and Henry James, whose short stories I think are incomparable. There are lots of others. 18. Since your work crosses a lot of borders, do you see a lot of different types of readers at your readings? Yes, I do. I like thinking of the fiction as somewhere that different sorts of people can meet, and like that a lot when it happens physically as well. 19. You're a relatively new user to Facebook, how do you think social media is changing writing and communication? Do you think it's helping or harming? I guess that my answer would be the same as above. I like the way it allows for interactions that I might not have otherwise. It's a very surface-y interaction, but with curious moments that dive below that, and I like in particular the way sometimes I can find out something really interesting about someone I thought I knew that I might not have learned from face-to-face interaction. There are weird aspects of that, of course--the strangeness for instance of having someone post your grade school class photo to your page where it can be seen by colleagues, friends, and just about everybody. An ex-girlfriend of mine often worried about that mixture of worlds, but I've come to think of it as not controllable and actually kind of interesting and dynamic: what kind of person do I perform when I'm posting something that can be seen by my daughters, some of my colleagues, writers I admire, my former students, old friends from high school, all at once? It's like: How do I act at a party when both my church friends and the friends that I do drugs with show up? The answer is, I guess, you make a choice about who you are and you kind of have to stick by it. Either that, or you limit your page and who can see what, which seems to me a much less interesting solution. 20. 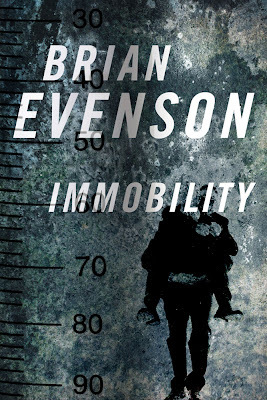 What's next for Brian Evenson? B. K. Evenson's got the project he's writing with Rob Zombie coming out sometime late in 2012. 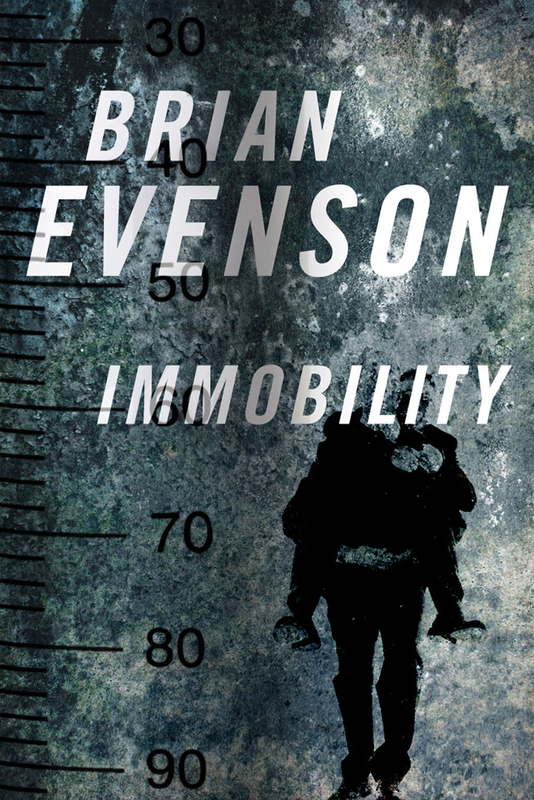 For Brian Evenson, I'm not sure: am spending time reading and thinking and trying to decide where I'm going next. Last year was a tough year: went through a very difficult lung collapse, broke up with my then-girlfriend, death in the family, and so on. This year has been great--wonderful new girlfriend, healthy lungs--but I still feel like I'm regrouping, trying to get my bearings on where my writing's going to go next. About a Nick... He's one of the nicest interviewees that I've had the pleasure to ask my twenty questions to. You'd have to be living under a rock to not know of this guy, so I'll let the interview below speak for itself. Ya never know what people will say to the goat. Not to my mind, but to my eyes: I squint, to see if I’ve misread something about the band Mountain Goats. 2. What was it like having such success after your first novel? Pretty good, for about a month. But my first book, Fever Pitch wasn’t a novel, it was a memoir, and after that month I realised that I hadn’t done anything, really. It’s hard to keep writing memoirs, and I had a lot of my career ahead of me. The success of High Fidelity was more important to me, because it was a novel, and I was pretty sure I could write another one. I just want to work, and to feed my family through my work. The way I look at it, each book that does OK buys you the chance to write another one. 3. How many projects do you usually work on at a time? Does it help to have multiple things bouncing around your brain? The way it’s turned out, over the last few years, anyway, is that I’ve had three or four things on the go at any one time. But that doesn’t mean I look at three or four things in a day, or a week, or even a month. I work on each of them until they reach their next stage, whatever, that is, and then go on to another one. At the moment I have four different movie and TV projects active, but only one of them is taking up an actual writing time at the moment. The other three are all stuck in development, at various stages. And if I were writing a novel, I’d maybe take a break from it after I’d written a third, or a half, to do a draft of something else. Screenplays are useful in that you can get a draft done in six weeks or a month, especially if it’s not the first draft and you have a structure to work off. But of course, when I go to bed at night, my head’s pretty chaotic. It’s hard to govern what you end up thinking about. 4. I see you have your own writing office that isn't at home, do you think it's important to have that kind of space that you have to "go" to? Well, it helps me. I like the separation, the ability to leave work at the office , the walk to and fro. And if I have to do interviews, I like to meet journalists in a neutral space. I don’t want my home, or my kids, to form part of an interview. It started out as a purely practical arrangement when my children were young and small and not at school, but now it’s just the way things are, and always will be, for as long as I can afford it. BUT, young writers, that’s not the reason your book remains unwritten. Get on with it. I couldn’t afford anything outside the home for a while. 5. In one interview you said that you always knew you wanted to be a writer, even before you wrote, can you expand on this? I used to think about stories a lot, even if I was too idle to write them down. And then it got to a point where they were stopping me from sleeping, and I knew I had to do something about it. It took years to get to that point, though. And I was resistant to it, I think, as well. Writing has enormous power to mess your life up. 6. You've written lyrics for a bunch of Ben Folds songs, what was it like working with someone across the internet? Do you think the ability to connect like this is going to bring a lot of conglomerations? Yes, it’s much easier now. I get emails out of the blue, from interesting people, and there’s no way they would have sat down and written a letter to me. There’s no way, either, that I would have written a letter back. So I think there’s the potential for endless collaboration, or endless talk about collaboration, anyway. A lot of it comes to nothing, but so what? I loved working with Ben. It had every possibility of coming to nothing, but we were both stimulated by the challenge, and stuck at it. 7. What was it like selling the movie rights to Fever Pitch, twice? It was never really exciting! The guy who directed the British movie was always convinced of its cinematic potential, even before the book was published. I thought he was nuts, and was more concerned about publication than movie rights. And we dragged on for a few years, with me writing drafts that got a little better, until Film 4 bought the rights, for a small amount of money. And actually the rights were then theirs to sell on, so there wasn’t really any more. About A Boy was much more fun. I hadn’t submitted it to the movie people, and I still don’t know how they get hold of it, and then there was an auction. It was cool. Not real life, but fun anyway. I’m not sure if people realise this, but an enormous number of novels get optioned for the movies. If you have an idea that involves authentic-seeming people and an original narrative, then someone on the movie food chain will say they want to buy it. But that someone could be a young indie producer who doesn’t have a penny to give you for it. 8. Do you enjoy giving readings? What should someone expect when seeing you read? I really do, actually. I think I’m OK at it. I tend to read three or four self-contained passages from the first half of a new book, and then do a Q and A. That’s the fun part, I think. That’s where you can get an atmosphere going in a room. 9. I saw that, like a lot of authors, you don't read your reviews. With the amount of good reviews that you get, why not? Of course, they’re not all good, and even the good ones contain something that’s likely to annoy me, or damage confidence in some way. Half the job is about maintaining confidence – writer’s block is a crisis of confidence. So why do anything to jeopardize the little bit one has? And I don’t think you can learn much from the average one thousand word review. The reviewer has spent a lot less time thinking about the book than you have, understandably, and most reviews are a couple of paragraphs of plot and a couple of paragraphs of adjectives. 10. In one interview you said that you're too social to want to sit on your own for two years writing a book, is that how long it usually takes you to write a book? Yeah, pretty much. I don’t know where the time goes. The sums don’t add up. I aim to do 500 to a thousand words a day when I’m up and running, which should mean I’m done in 180-odd working days. But I’m not. 11. Do you have someone that is your first reader for everything, or does it all depend on the material? My wife is my first and best reader. 12. You were a full-time teacher and regular contributor to Esquire, the London Sunday Times, and The Independent, before becoming a novelist, what brought you to fiction? It wasn’t that way round. I was writing (unpublished and unmade) screenplays and fiction before I started doing journalism. I kind of fell into book reviewing, and then other bits and pieces, and I ended up with a column. But it was always so that I could pay for the creative writing. It was a good thing to have done, for all sorts of reasons. 13. Do you have a favorite book or story that you've written? Why? Always the next one. The next one’s going to be really good. 14. The collection The Polysyllabic Spree is a collection of 14 columns from The Believer and the proceeds are split between the Treehouse charity and a writing centre in Brooklyn, how did you get involved in these? There are three of those collections out in the US, with a fourth due in the autumn, and the money from those tends to get given away, because I already got paid once for writing the column. TreeHouse is a school for severely autistic kids that my son attends, and 826, the literacy project founded by Dave Eggers, is very important to me,, not least because I got involved in a similar thing here, the Ministry Of Stories. I’ve known Dave for ten years or more, and whenever I go and see him in San Francisco, I’m always incredibly inspired by the energy and imagination of 826 and McSweeney’s. 15. I enjoy that you want people to read your books now, and don't worry about them reading it in the future. Do you think about the legacy that you will leave in literature? No, never. That way looks like creative death to me. In the end, books last because people read them, and really, nobody can predict whether a book will last. It’s quite clear, when you read Claire Tomalin’s brilliant biography of Dickens, that he didn’t think about his literary immortality for a second. He was bashing things out, usually two books at once, and sometimes it’s quite clear that the books suffered as a result. But would people love them more if he’d written more slowly and more carefully? It’s hard to imagine. I wrote Fever Pitch because I wanted it to be read in 1992 and 1993 and I didn’t think beyond that. But it’s twenty years old now, and it’s still in print. 16. It's easier than ever to find people across the internet with social media, do you believe that it's making being a writer a little less of a lonely occupation? It doesn’t matter how many friends I have on Facebook – it’s still pretty quiet here during the day. 17. Whenever you're asked about some of your favorite writers, you mention Anne Tyler. What makes you so passionate about her writing? She more than anybody made me want to write – she made me think it was possible. Soul, characters, humour, sadness - that’s the kind of novel I aspire to. 18. What would you say if one of your boys comes to you in the future and says, "Dad, I want to be a writer?" 19. I think you're one of the first writer's I've read who is honest about writing to be published, not writing for your self. Do you believe that you can do both? Write for yourself and for money? It’s not about writing for money. The point I’ve tried to make is that all writers – all novelists, anyway – write with a readership in mind, whatever they say in interviews. That’s why they withhold information in the narrative, and why they make jokes, and why they strive for emotional impact, and why they produce books that are roughly book length, as opposed to a million words long. They’re not doing that because they imagine amusing themselves when they’ve finished. So to say that you’re writing for yourself is disingenuous. And I’ve yet to meet a novelist who wanted to remain unpublished. You may be writing the kind of book that you’d want to read – I hope you are. But that’s really not the same thing as “writing for yourself”. 20. 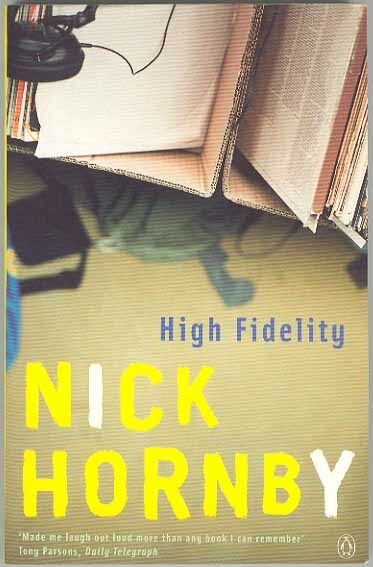 What's next for Nick Hornby? I want to try and get these screenplays that I’m working on made – or get them into a state where they stand a chance of being made, anyway. I’ve been working on a series for HBO, and there will probably be more work on that, although the odds are always against production, I think, on things like that. And I’ve been adapting Colm Toibin’s wonderful novel ‘Brooklyn’, too, so there will be more work on that – again, it’s going to be tough to find the money for it, but I hope we can. And I’m just beginning to think about a novel set in the 1960s.